For those of you who know me, you may know that cooking eggplant has never been my forte…until now! 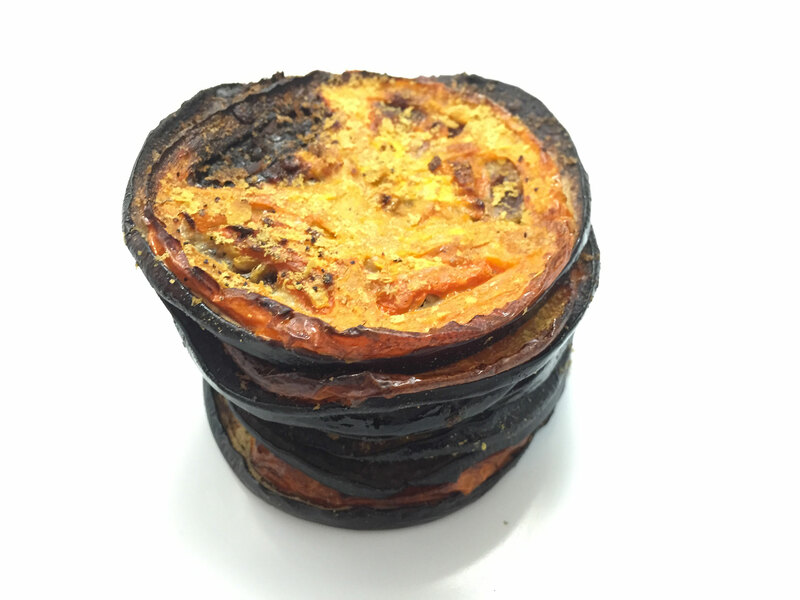 Imagine my surprise and excitement when I came up with this recipe and literally couldn’t stop eating these healthy, low calorie and nutrient packed treats (so you know, usually my eggplant dishes end up in the garbage). This recipe is super simple, and the trick really is to cook the heck out of the eggplant making it super-crispy and also to slice the eggplant really thin. Enjoy these super tasty eggplant no-parm sliders as part of any meal, as an appetizer, healthy hors d’oeuvre, or even as a snack! Place eggplant rounds flat onto the cookie sheet. 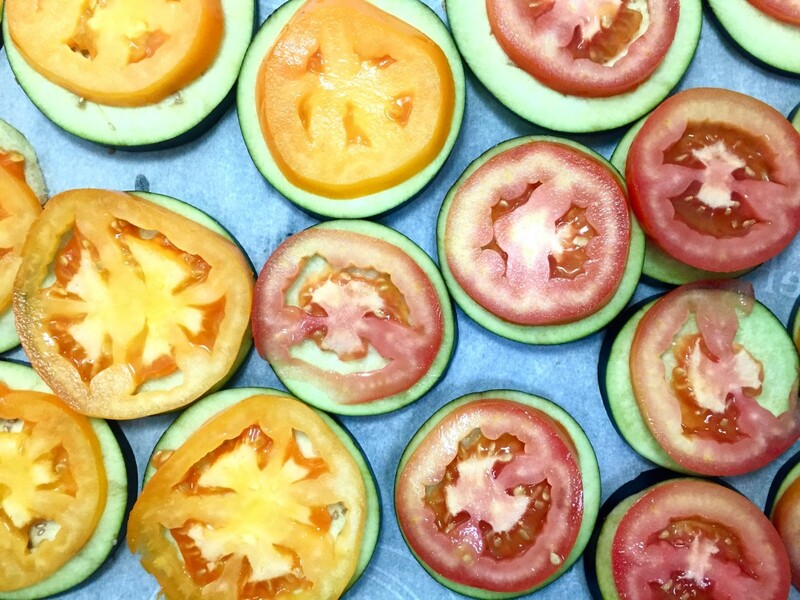 Add one slice of tomato to each eggplant round. Allow to cook for 15-20 minutes or until the eggplant begins to flatten and tomatoes begin to brown and add nutritional yeast on top of the eggplant/tomato rounds. Once the eggplant/tomato rounds are browned (total about 30 minutes) remove the cookie sheet from the oven then serve and enjoy!